Excuse me if I am not convinced! Maria Chappelle-Nadal has a history of making statements like her recent call for President Trump to be assassinated. She just never got in trouble for them before. This time she bit off more than she could, and by the looks of her, she can chew a lot. This sow has gotten away with outrageous, borderline criminal statements for years. This one blew up in her face and she is likely to lose her senate seat over it, so she is whipping out the Jesus card. 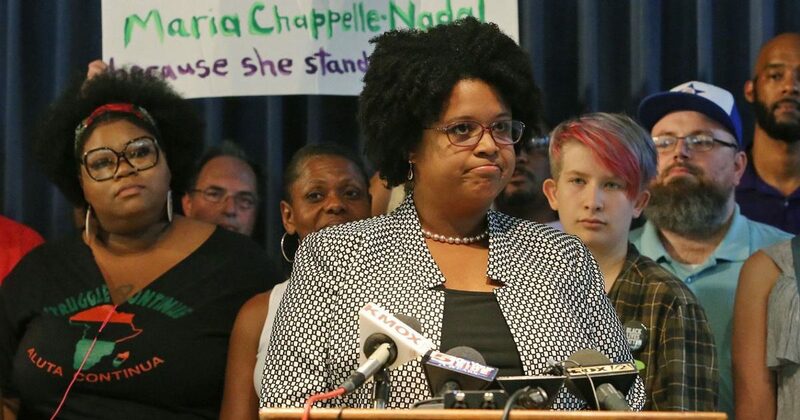 Invoking the name of our creator, Chappelle-Nadal made a tearful public apology to President Trump and his family. She’s a far better actress than Nancy Batshit Crazy Pelosi (second video, below), but I ain’t falling for it.